Connected to a Smartphone or a tablet with Bluetooth Smart (Low Energy), the Parrot MiniDrone offers flight stability worthy of professional drones. Thanks to its numerous sensors and its autopilot capabilities, Parrot MiniDrone is the easiest-to-fly quadricopter. Its ultra-compact and light-weight design, combined with the power of its engines, allows the Parrot Minidrone to fly at high speeds and perform high-precision acrobatics. 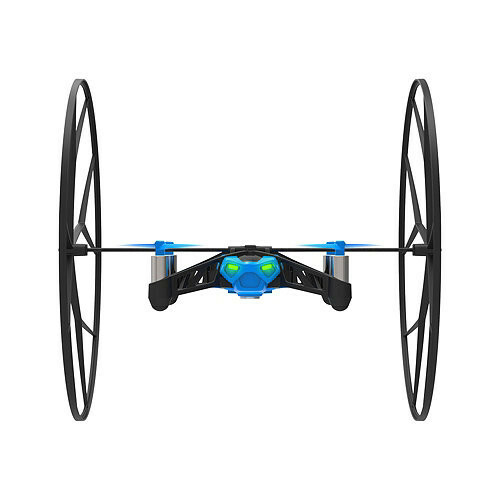 Attach two ultra-light wheels to the Minidrone structure and it can climb along a wall or move across the ceiling before taking off again into mid-air. Perform forward, backward and sideways flips at the touch of a finger! Easy piloting thanks to the sophisticated stabilizing autopilot system and its ultrasonic sensors. Small, and Full of Sensors! 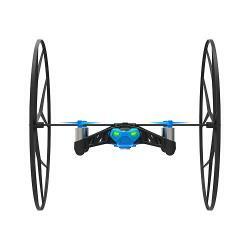 Parrot Rolling Spider has remarkable flight stability thanks to technologies usually dedicated to professional drones. Connect to Parrot Cloud to share your stats with other pilots Keep track of all your flights and share your photos, videos and navigation data with other members of the Parrot Cloud. Connect to share instantly to YouTube or Facebook. Join Pilot Academy with over 150,000 pilots registered. Free backup of your flights and aerobatics data. App Free piloting app compatible with smartphones and tablets running on iOS, Android, and Windows 8.1 and Windows Phone 8.1 from September 2014 onwards. Operates under Linux. Free SDK for coders.